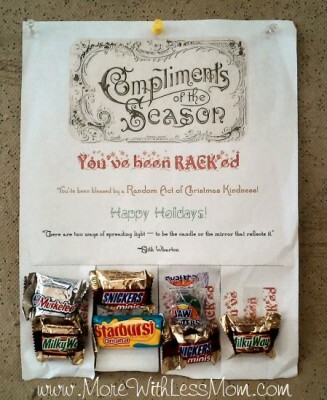 This year for our advent calendar I wanted to incorporate random acts of kindness. In the past I have assigned tasks to specific days, but it seems like often that task is not best suited for that day. I have decided this year to make a paper chain Christmas countdown to help the littles visualize the oncoming holiday. 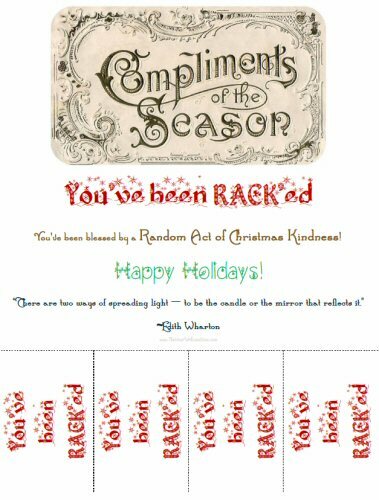 I will also fill a mason jar with folded slips of paper that will include both ideas for random acts of Christmas kindness, as well as fun ways to enjoy the holidays and each other. We will pick a slip each day, and if that slip does not work for that day we will put it back and pick another. 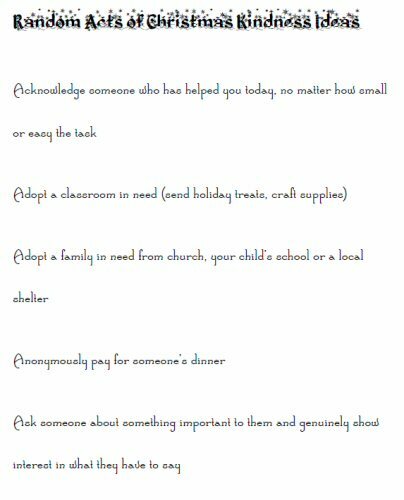 On the weekend we will pick several ideas and do an act of kindness day, grouping similar things like a trip to the shopping mall. 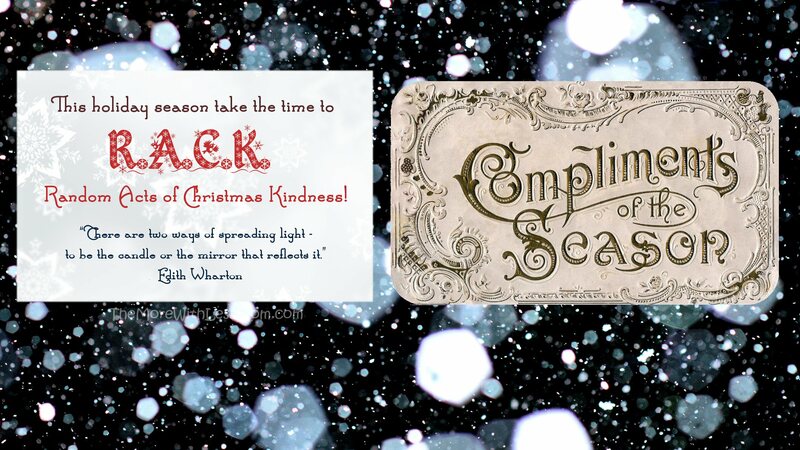 We will spend our December weekends enjoying each other’s company, doing crafts and baking, and helping others in small ways. 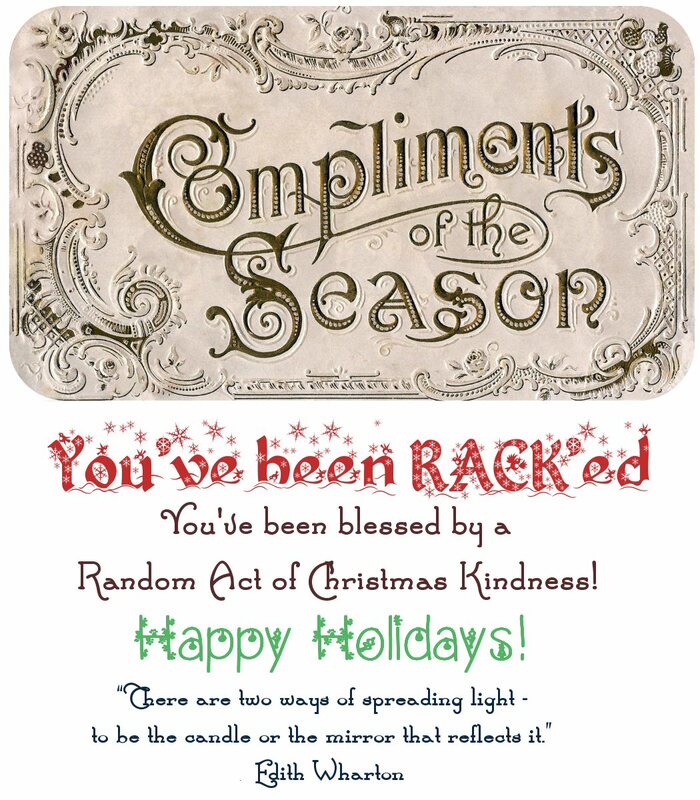 Print these cards to leave with your gifts and treats so your recipient knows what it is. (6 per page) This has a quote from Edith Wharton. Print out these tear-tab flyers to leave on bulletin boards in the laundromat, gas station, or library. 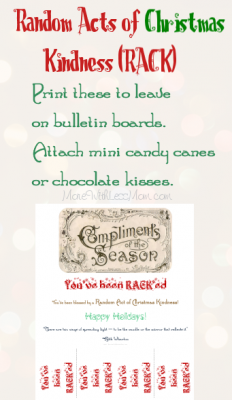 Attach mini candy canes, chocolate kisses, peppermint candies, or tiny toys from the dollar store. Cut the vertical dotted lines and fold on the horizontal dotted line so it is easy to tear off a treat. I tried to keep these ideas frugal: free, use what you have, or very cheap. I wanted things that the kids could help with, if not do themselves. Shared with Busy Monday, Christmas in July, Clever Chicks Blog Hop, Farmgirl Friday Blog Hop, Frugal Family Linky, Mostly Homemade Mondays, Say G’Day Linky Party, and Treasure Box Tuesday. Great post! 😉 Can’t wait until the countdown begins! 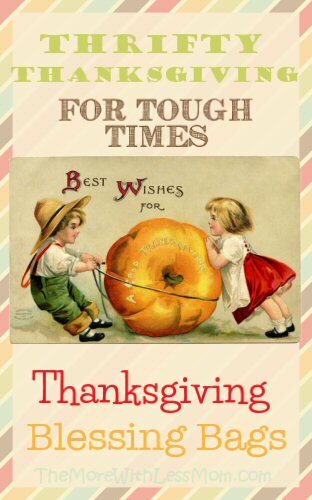 thank you for including our printable in your post!! I really love this! 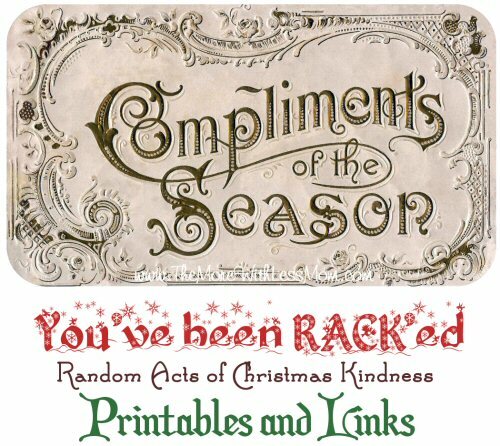 You’ve got a great list with lots of fabulous ways to give back. Thanks, I tried to keep it easy and cheap.